Colombo, February 12: Of late, there is some realization in India that it is time New Delhi dropped its reservations about engaging the radical Islamist Taliban in Afghanistan and participated in the on-going peace process in that country. Involved in the peace process are the Taliban, US, Russia, Iran and Pakistan. The process has the support of Beijing, which is keen that the Taliban is brought into the national and international mainstream so that it is tamed and China’s burgeoning investments in neighboring Pakistan are safe. Each participating country has its own reasons to be in the peace process. The Taliban would like to capitalize on its ground level military superiority to negotiate a deal with the US which will put it in power in Kabul without further bloodshed. The US, tired of spending US$ 45 billion a year on the Afghan war, wants to withdraw with guarantees of non-aggression. Russia is interested in filling the vacuum created by US withdrawal, and reviving its historical role in Afghanistan. Iran and Pakistan need peace in the neighborhood for the sake of economic development. All of them have shed their past reservations and have set aside historical memories for the sake of peace now. The US is ready to forget and forgive the Taliban, if only it would assure that Afghan soil will not be used to stage terror strikes. Strongly critical of Pakistan on the terrorism issue till recently, the US suddenly suspended criticism and sought Pakistan’s help to open up to the Taliban. The Russians forgot that they were ousted from Afghanistan not so long ago by the Mujahideen, who included the founders of Taliban. Given the emerging scenario, it is argued that India too should forget the bitter past, in which the Taliban had attacked Indian establishments and abducted or killed Indian expatriates. The Taliban targeted India because India has been supporting the US-backed Kabul regime and had once heavily funded the Northern Alliance when the latter was fighting the Taliban in a brutal civil war. Strategists argue that India needs to be in Afghanistan to block Pakistan from using the Taliban to oust India altogether from Afghanistan. But others point out that India’s economic stakes in that country are too high for India to be inactive. India is building the Zaranj-Delaram highway. It is constructing the Pul-e-Khumri transmission line and the Salma dam. It is restoring the telecommunication infrastructure in 11 provinces. About 116 small community development projects are being executed in the fields of agriculture, education, rural development, health, vocational training, and solar energy. Efforts in the education and capacity development domain include the Indira Gandhi Institute of Child Health; reconstruction of the Habibia School; provision of 500 annual scholarships; provision of 500 training scholarships to Afghan public servants; vocational support to Afghan women and youth; and capacity building in media and information, civil aviation, agricultural research and education, health care and medicinal science, tourism, education, standardization, rural development, public administration, electoral management and administration, and local governance. In September 2016, Indian Prime Minister Narendra Modi announced an additional US$ 1 billion to boost small development projects to be executed by local communities. It is widely recognized in Afghanistan that Indian development aid has benefitted ordinary Afghans. Bilateral trade is more or less balanced and is expected to touch US$ 2 billion by 2020. 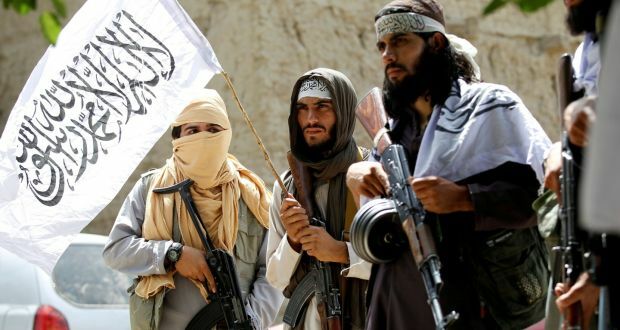 The Taliban is poised to take over the country after the American military withdrawal which is expected to take place before the US Presidential election in November 2020. Therefore, it is time India recognized and negotiated with the Taliban to protect its huge investments; maintain its strategic presence in the region; and checkmate troublesome Pakistan which already has good relations with the Taliban. At the moment, India is out of the peace process. This is because New Delhi is identified too closely with the Afghan government led by President Ashraf Ghani, which the Taliban considers “illegitimate” and a “puppet” of the US. With the Taliban refusing to talk to the Ghani regime, the latter is not part of the on-going talks. Since the Ghani government is not there, India too is out. India insists that the legitimate, elected government of Afghanistan must be part of any peace process or settlement. Apologists of the Taliban maintain that the prospects for peace are bright going by the results of the February 5-6 conference in Moscow. 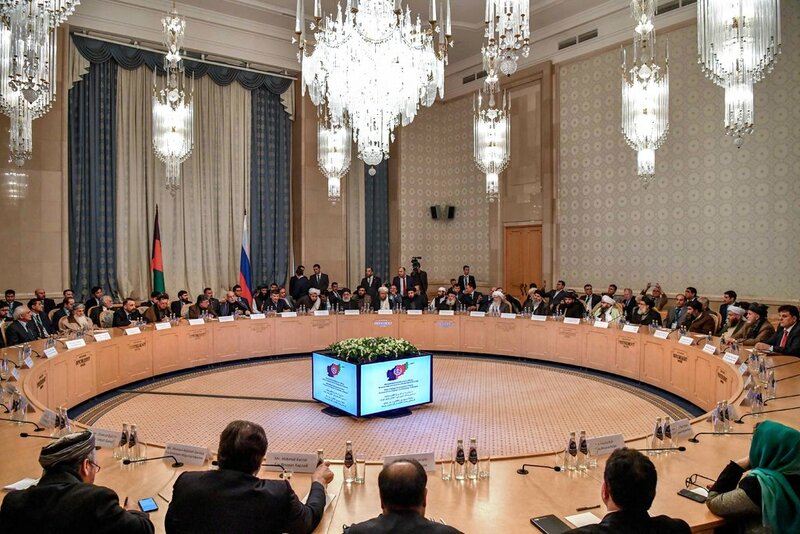 Firstly, the meeting arranged by Russia, attracted participants from all major Afghan groups barring the government. Secondly, the Joint Statement issued at the end of the meet, had nine points which could be a sound basis for domestic peace and orderly international relations. A Taliban-led Afghanistan would, of course, be Islamic, but the polity would be inclusive. Any government formed after the exit of US forces and the Ashraf Ghani regime will be broad-based with representation for all ethnic groups. The new government will assert Afghanistan’s national sovereignty and scrupulously remain neutral vis-a-vis regional and international conflicts. The conference pledged to protect the rights of all Afghans including women, and to open the doors to foreign assistance and investment. Recent research has established that the Taliban is keen on running a government well. It is running the administration in areas under its control in a systematic and responsible way. It is not a rabble. However, the road to peace may not be smooth given the opposition President Donald Trump faces from American hardliners and the US military-industrial complex which want the war to continue. Jim Mattis quit as Defense Secretary partly because he was against withdrawal from Afghanistan. Afghan President Ashraf Ghani has backers in the US Establishment. But regardless of the opposition, Trump is set to make a deal with the Taliban. This is because the Taliban has assured the US that Afghan soil will not be used for staging terror attacks against the US. American desperation to withdraw is seen in the absence of any will to make the Taliban agree to a six months ceasefire. All that the US has been wanting is an agreement from Taliban to talk to the Afghan government and coopt it in any future political set up. But if the Taliban guarantees US security, Washington may drop Kabul like a hot potato. The US shed its reservations about Russia and Pakistan and has allowed their participation. Desperate to withdraw and go into a shell, the US may not come to India’s aid if the latter comes under attack from the Taliban. With no military presence in Afghanistan, and given the inability of the government forces to match Taliban’s guerillas, India has been completely dependent on the US military presence. In this context, US withdrawal would be the last thing India would want. However, New Delhi has been seeking an “Afghan-led, Afghan-owned and Afghan-controlled” peace process and settlement. But what emerges finally may not answer to New Delhi’s description of an ideal Afghan settlement. It will reflect the ground realities. The ground realities can at least be partly shaped by India if it actively participates in the peace process.